If there was an expectation in 1999 that Inuit in the eastern Arctic would consider the new territory of Nunavut as “our land” and remain in the North, that was wrong: after the territory’s creation, an increasing number of Nunavummiut picked up and headed south. Today, 20 years later, the number of Inuit who call Ottawa home, by some estimates, sits at close to 5,000. But, in 1999, the Inuit population of Ottawa still numbered in the hundreds. No one seemed to realize that over the next 20 years Ottawa’s Inuit population would rival that of many communities in Nunavut and that it would be hard to find Nunavummiut without at least one family member living in Ottawa. 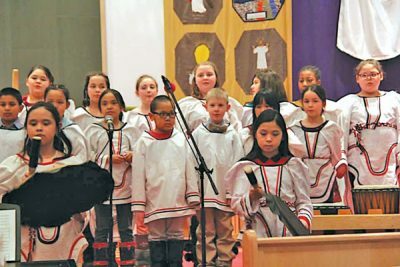 The departure of so many Inuit from Nunavut for the south has led to the growth of a much larger support network for Inuit from Nunavut and other Inuit Nunangat regions in Ottawa and other cities across Canada, including St. John’s, Montreal, Toronto, Winnipeg and Edmonton. According to Inuit Tapiriit Kanatami, from 2006 to 2016 the number of Inuit living outside Inuit Nunangat grew from 10,920 to 17,690. Not all those Inuit came from Nunavut, but over that 10-year period there was a jump of 62 per cent in the Inuit population outside Inuit Nunangat. A 2016 report from the Ottawa-based Tungasuvvingat Inuit also reveals that between 2001 and 2006 the numbers of Inuit had already increased by 30 per cent in Toronto and by 60 per cent in Ottawa. TI’s Urban Inuit Strategy report found Inuit were mainly drawn to the south by opportunities for employment, housing, medical care and education. Only three in 10 Inuit planned to return to their communities of origin. Nearly nine in 10 urban Inuit were first-generation urban residents. Fewer than half felt that Aboriginal political organizations did a good job representing their interests. With the growth of the Inuit population in Ottawa, TI, now in its third decade, started to step up its services. Only three years after Nunavut’s creation, in 2002, TI held a community gathering in the hope of broadening its mandate to a provincial level. As a result, TI was recognized as a provincial organization for Inuit in Ontario. Then, in 2005, three years after that first provincial gathering, TI hosted the One Voice conference, which brought Inuit together from seven cities across Canada to share stories about living away from home. Since 1999, Inuit organizations have also stayed put in Ottawa: ITK, the Inuit Circumpolar Council and Pauktuutit Inuit Women’s Association remain in the city, where they employ many Inuit. The Ottawa Inuit Children’s Centre now has numerous programs for children, youth and families, while the Ottawa-based college for young Nunavut Inuit students, Nunavut Sivuniksavut, has also expanded. 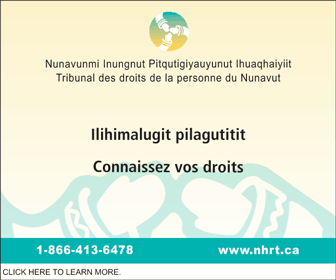 As well, many educated Nunavummiut, whose ranks include the only Nunavut Inuit heart surgeon, accountant and crown prosecutor, have chosen not to relocate the territory. 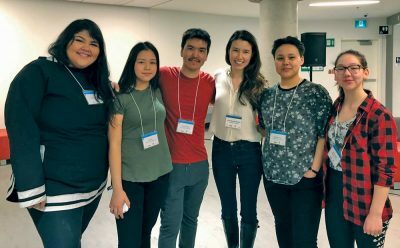 They’re just a few of the Nunavut Inuit in this Arctic diaspora, diaspora being a term used to describe the dispersion of any people from their original homeland. Some of the social problems, such as homelessness, addictions and violence which many Nunavummiut wished to escape also followed them. These have resulted in several tragic incidents, such as the recent death of Susan Kuplu-Irqittuq in Ottawa. Some jurisdictions in the south have also been slow to step up to meet the needs of Nunavut Inuit. 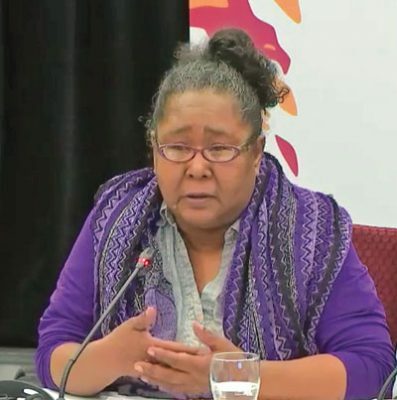 Last year, Annie Pisuktie, the secretary of the Southern Quebec Inuit Association, who originally comes from Nunavut, told the Viens commission into how Quebec has served its Indigenous peoples about the pressing needs of Montreal’s Inuit population for shelter, treatment and other support. Not only did the crystal balls of Nunavut’s founders fail to show the departure of many Inuit from the territory, they also failed to predict the migration of hundreds of well-trained immigrants and their families to the Nunavut. These new arrivals include professionals from as far away as the Philipines, Zimbabwe, India and Nigeria—who have been ready to trade southern Canada for Nunavut, where they have set up their own support networks, with associations for African-Caribbean residents and a mosque for Iqaluit Muslims. 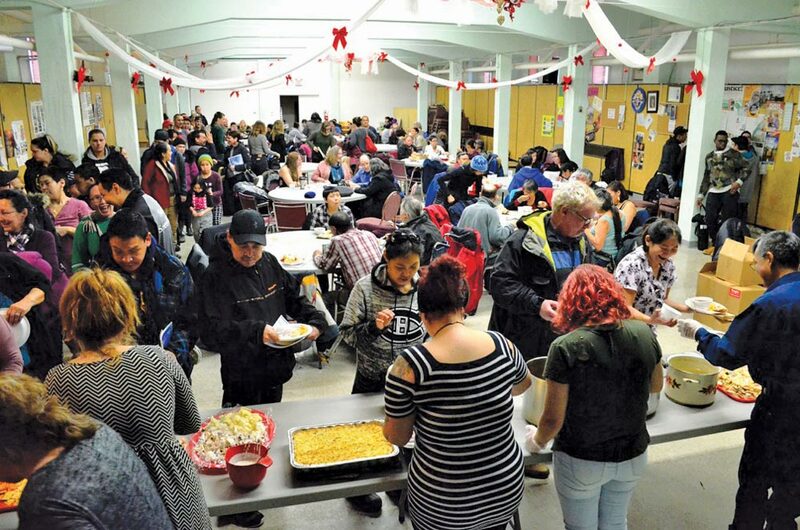 The result: a much more multicultural, diverse Nunavut than anyone predicted, with the visible minority population in the territory standing at 2.5 per cent, that is, about 1,000 residents and double that of five years ago. Jane George is the senior reporter for Nunatsiaq News. George, who has worked for the newspaper since 1997, has written widely on issues related to events in Nunavut, Nunavik and the circumpolar region. The newcomer communities in Iqaluit are quite vibrant, particularly the Filipino one. The newcomer community in Rankin, while still very small, is growing surprisingly rapidly and is very energetic. This is a wonderful thing for our territory. I do worry about how well prepared Nunavut is for such demographic change, particularly as it moves out of Iqaluit, and how well developed newcomer services are in the territory. The Inuit diaspora, while regrettable, is sadly no different than what much of Canada has been experiencing for decades. Unless talented young people can be offered the right encouragement to stay, and more newcomers encouraged to settle here, then we could see the hollowing out and draining that the Atlantic Provinces have seen over the last 40-50 years. You’ll see young Inuit return I think. They’ll return for the same reason I moved here. A good job to go with my good Ontario education. Then when those young Inuit improve their children’s prospects here fewer will leave. I hope that you’re right and that we’ll see this one day soon, but it is more than a matter of ‘a job’. How many families do you know who have left because the schools were not good enough, or there was only opportunity for one spouse, but not both? Everyone but a select few will have far, far worse employment prospects in Ontario. It just won’t hurt as bad when they learn there’s no work because the COL is lower. It’s a hard lesson we all had to learn in Ontario. A dream that became a nightmare. The nightmare will only get worst. No, this is not a Cinderella story. This is a story with an ugly ending, a devastating conclusion. I do not know how any of this can be a surprise to anyone 20 years on. The Inuvialuit communities have begun emptying out. The Labrador communities have already emptied out. The reasons are simple – lack of opportunity and a hope for a better future. If Nunavut chose to look, these trends can be clearly seen in other parts of Inuit Nunangat. We are wrong to think we would be unique in this regard. We have also been too naive in believing government can generate sufficient opportunity and support for our youth. Many Inuit who move south cannot even be considered migrants. They are internal refugees born from a failure of vision and leadership. When we look at things like resource development and full-on harvesting, which could fill the opportunity gap, we are reluctant to embrace and take advantage of it. The only people that would be surprised or dismayed by our migration trends are those that believe the only valid path for our youth is that of a Inuktun speaking civil servant working from their home community who harvests only for recreation. That is the ideal that has been pushed on youth in the first 20 years of our territory. Only a select few want and can achieve this. A better view is that our youth should be encouraged and supported to do whatever productive thing that interests them, that they want and can do, wherever that work takes them. It is their life to live, not ours. We ought to stop trying to shove round pegs in square holes. When Alaska was purchased from the Soviet Union in 1867, its population was 99% Indian and Inuit. Today, they represent only 16%. In Chukotka, northern Siberia, the aboriginal peoples were 90% of the population in 1926 and today are 10% of the population. The 300 Inuit villages of the Alaskan corporations can no longer hold their own against the powerful oil, mining, and financial forces concentrated in Anchorage, Fairbanks, and Juneau. The aboriginal homeless are now living on the edges of these cities. Are we not starting to see some of this in Nunavut? Inuit of Nunavut have an opportunity now to avoid making similar mistakes. The large corporations that are coming to Nunavut will not stop to wait on Inuit; they will continue to make deals that allow them to develop lands with less than 50% Inuit employed. 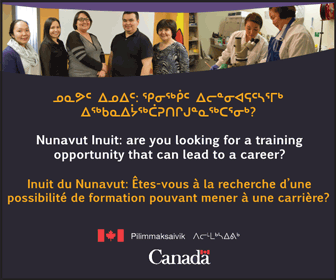 Inuit employed by them will also be the lower paid positions. This is especially true of large international corporations. Be careful Nunavut!! !